Happy Friday, friends! Thanks for all the nice feedback on the amended CR look. I didn’t want to change anything dramatically, but a little freshening up was in order. Glad you guys like it too. I’m writing from New York, where I’m taking comfort in good restaurants, good friends, and good reading for a week. I’ll be sharing some of those foods with you, of course, and some of my activities. 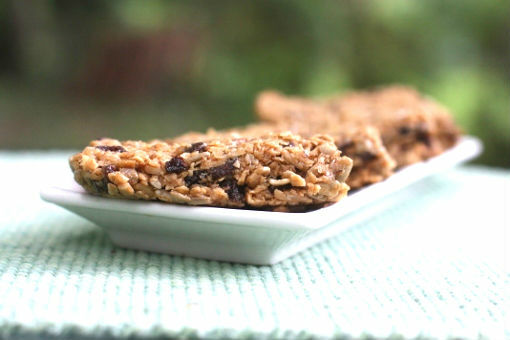 But first, I want to share my newest hurry up vegan recipe, which is a healthy snack bar that’s ready in no time. This recipe was inspired by the latest segment of the Kathy Gena show, which ought to air next week. Our idea was to make a bunch of recipes that are appropriate for students–both kids and grown up students like me. You’ll get to see all of the goods, including a grain salad, some DIY trail mix tips, and a super-quick tofu scramble, when the video goes up. 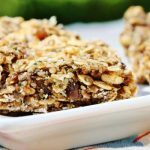 But I’m giving you a sneak peak with these snack bars, which are so quick and easy that even the busiest of moms (or blogger-turned-premeds) can whip them up in an instant. The ingredients? Just a simple mix of oats, sunflower seeds, raisins, and (especially if you’re cooking for kids) carob chips, along with some nut butter and agave as a binder. 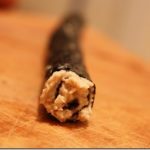 The nut butter I chose to use in this recipe is actually a seed butter–sunflower seed butter from Maranatha, which my friend Kathleen gave to me as a housewarming gift (thanks Kathleen!). 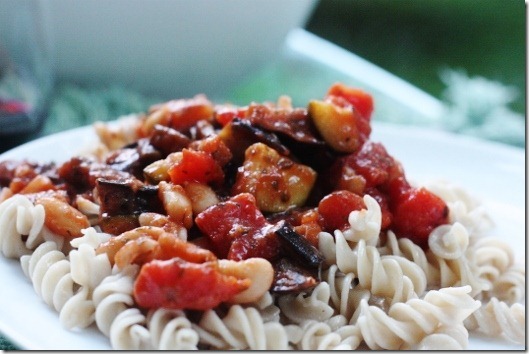 It’s delicious, and a great alternative for kids (and adults) with tree nut allergies. The base is a mix of quick oats, sunflower seeds, raisins, and carob chips. You could of course change this however you’d like. For example, almond butter would be great here, and so would peanut (buy organic!). You could also use rolled oats (regular or GF) and different seeds (I think sesame would be fantastic). Instead of raisins and carob chips, you could make a more grown up (and superfood friendly) version with goji berries or mulberries and cacao nibs. The sky’s the limit! Best of all, this recipe doubles very easily as a granola. If you want to go that route, instructions are below! 5) Follow step 4 until you get to baking, and dehydrate for 10 hours at 115 degrees instead for a more-raw option. It’s hard to believe that anything so tasty and filling could also be so easy. But that’s what hurry up vegan posts are all about! 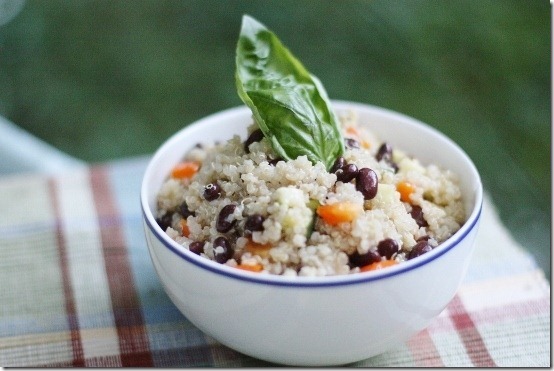 Or my quinoa black bean salad. And stay tuned for more lunchbox friendly recipe ideas–complete with embarassing footage! Yum, these bars look wonderful! Perfect recipe for busy days at work for me which has been happening too much lately! Thanks! Hope you’re having a great time in NY, can’t wait to hear more. These look great! Sunflower seed butter is one of my favorites… I just don’t have it in the house too often 🙁 note to self… Buy more often! Looks tasty!! 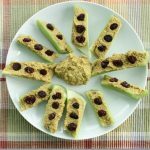 As a “grown-up” student I’ve been in a bit of a snack rut, but these look great to pop in my lunchbox. Loving the revamp, enjoy your time in the city! I love the new layout! Been awol a bit with all the new exciting stuff over here so missed some things–just a shame there’s no picture of you anymore. That’s a great recipe. I discovered during my travels that I’m ok with gf oats, which was a liberating thing to find out. I don’t like sunflower seeds, but I bet shredded coco would work too, and I may well end up making these! Thank you, Gina, for all these wonderful and healthy recipes and taking time out from your busy schedule to share. 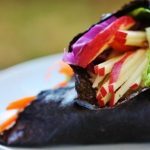 Loving these “hurry up vegan” recipes. They are great for school, work, summer and just plain life! I enjoy spending a weekend in the kitchen pouring over recipes and cooking up a storm, but the reality is there are few of those days. Besides, less time in the kitchen means more time hiking or whatever. These fast eats are especially appreciated. Echoing the comments on the cool new site design. I’m a fan! And these bars- I love the ease and versatility. I’m a huge fan of seed butters, but sunflower is one of the few I’ve never had. I’m definitely going to have to get my hands on a jar. I’m the meantime, maybe I’ll experiment with the hemp butter I have. Welcome back home! You must be stoked to be back. I actually just moved to NY from LA, today, so who knows, maybe I’ll spot you somewhere this week! Yummy! I’m always on the lookout for new bars that are delicious and portable to bring to work. I can’t wait to try them! I can’t wait to make these! I love recipes that have a short ingredients list! Seriously I will gag if one more person tells me that you have to cook all the time and that they are too friggin busy to be vegan. I think, well, when you are spending more time trying to treat your cholesterol, heart disease, etc…and limp dicks since your “tubes” are so clogged with “easy to prepare” bacon, then you are going to wish that you spent 5 MINUTES making these Sunflower Oat bars! THANK YOU for disproving the “myth” that veganism is an exclusive club for people who make 200 grand a year and spend 23 out of 24 hours of the day in the kitchen! These look so good! I’ve been looking out for a bar (or granola) recipe with very little ingredients, and ingredients that I can live with, that is also quick! This will come in handy for starting school up this Monday (grad school–music, never any free time, but I make it a point to prepare my own meals as often as possible, especially now being a vegan). 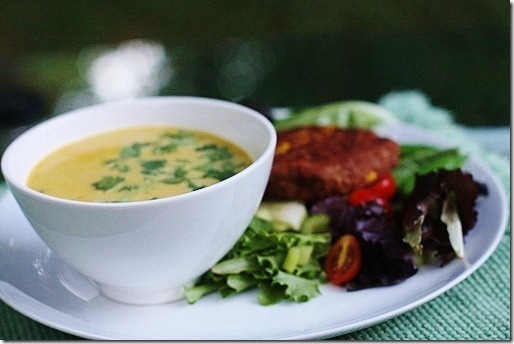 PS-I cooked the black bean burgers and served them over spinach and zucchini with guac, and made the fabulous soup last night! By far one of my favorite meals as of late, and I had a friend over and she was bowled over by everything! Yum yum yumyumyum! These look so good, and I’ve been craving a bar recipe, so thank you! Appreciating all you so generously share here, Gena! These sound so great! 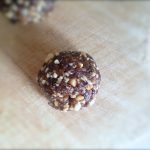 I’ve been making a lot of raw bars lately for something easy and quick and healthyish to eat but they really have too much sugar and nuts at times – I actually love that these are oat based for a change. Digging sunflower seeds lately, definitely. Thanks! 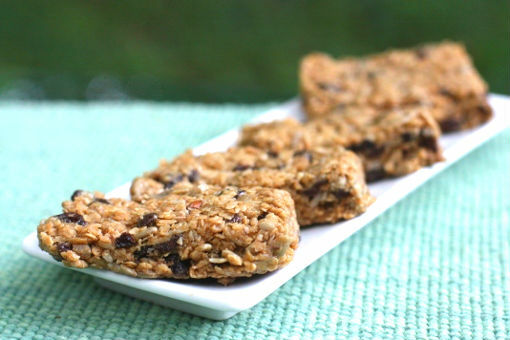 Definitely making these asap – in bar & granola form! This sounds exactly like what my pregnant palate has been craving. I think the carob chips make these. Mulberries would be so good too I think! I also love the new look around here. Very, very nice. 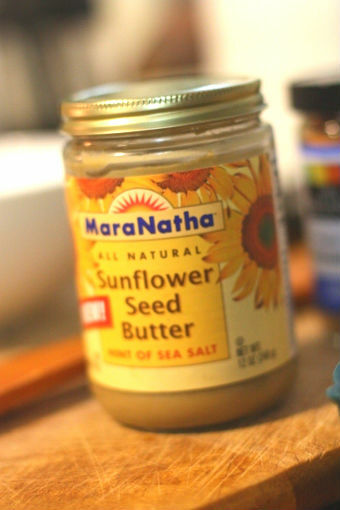 MaraNatha is my favorite brand of sunflower seed butter, and I love that these bars are so simple – and raw! I definitely have to try these, thanks! To everyone who says… “these bars look so good— these bars look great” you’re all right! But after making them I now confess they also taste great, too and don’t disappoint! 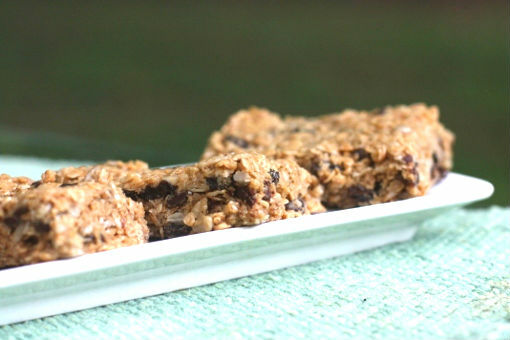 So if you like these ingredients, hands down you’ll love these bars! But there’s a down side to this recipe… these bars are so good you’ll be hard pressed to eat only one! I know. I tried. And gladly ended up eating 2!!! 🙂 Then hurriedly stuck them in the refrig! If you love these bars (as everyone should), you should check out the variation I came up with: Cocoa Nut Coconut Oat Bars! My sunflower seed oat bars will not stick together. The crumbs are delicious, though. I used 2/3 cup of brown rice syrup and followed the recipe. After they fell apart, I tried running the crumbs through the food processor and re-molding them…….still just crumbs, Any ideas of what I did wrong or can do to repair these or in the future? Thanks! I made these today and they are so delicious! I used pumpkin seed butter and did not have any carob/cacoa so i used some dessicated coconut instead. Very quick and easy to make. Can’t wait to try them with cacao nibs. Thanks for the recipe! I was wondering if you could use molasses in place of the agave to some much needed iron added into my diet? 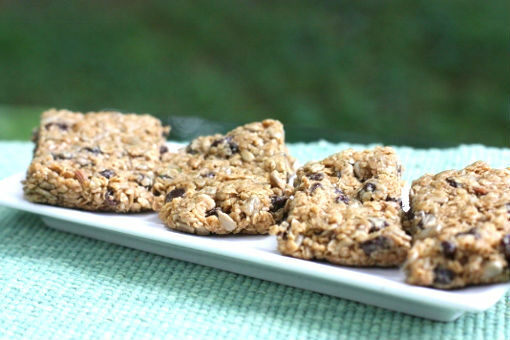 awesome oat bars, theyre really good, simple and quick. The crumbles do not work with quick oats. Burnt and not salvageable. I have been making these bars for a few years now and they always turn out great. I have never tried baking them. They are a little crumbly, but everyone loves them so much it doesn’t matter. I’ve made them with peanut butter and sunbutter and I prefer them with sunbutter. Thank you for this recipe!!!!!!!!!! !